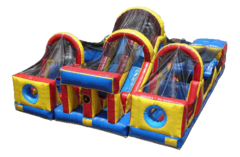 Pump up the excitement at your next event with ne of our awesome obstacle course rentals. 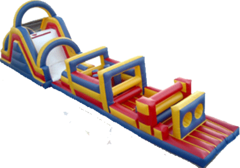 These large inflatable attractions are ideal for school fun days, church festivals and company picnics. 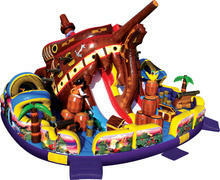 Watch as players crawl through tunnels, navigate popup barriers and scramble up the climbing walls to the slides. 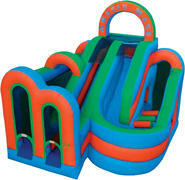 Their dual lanes will keep things moving at large events. Browse the selections below and click on the image or "More Info" link for additional information and to make a reservation.